Until further notice, the Affordable Care Act, aka Obamacare, is still the law of the land. That means you need coverage. If you do not get insurance, you will face strict penalties in the form of a monetary fine. When you look for a health insurance plan, be sure it meets the standards of the law’s criteria for minimum essential coverage. Should you fail to maintain adequate insurance, you will then need an exemption. If you are not exempt, you will pay the fee for each month in which you are uninsured. Under the law, you cannot be without coverage for more than three consecutive months at any time per year. Here we provide a guide to choose the right insurance plan to suit your particular needs. Most coverage options available to you over any open enrollment period meet the Affordable Care Act’s standards for minimum essential coverage. Additionally, the plans are available for any qualifying events in which you can sign up for coverage. This is even after the open enrollment period has come to an end. Here are a few pieces of valuable information necessary to know before you make your start down the road of choosing the right health insurance plan. When you start looking at insurance plans, notice there are four levels labeled: Platinum, Gold, Silver, and Bronze. Each level has varying costs associated with it. They also outline how much you will to pay to maintain coverage, and just how much your plan covers. These categories do not outline the quality of care you will be receiving. They only pertain to the sharing of expenses for that care. Each level determines cost-sharing between you and your plan. These various expenditures relate to your monthly premiums under that particular plan. This is in addition to any deductible and other out-of-pocket costs that you pay when you receive care from a doctor or specialist. As you may have guessed, the cost of the plan is a substantial factor in deciding which of insurance plan is right for you. You will have a wide range of networks like an HMO, PPO, EPO, and POS from which to select your insurance plan. The difference between them is quite important to understand. This is because some of these networks might restrict your freedom to see a particular doctor or receive care in a certain type of facility. Additionally, the network you choose can mean more money taken out of your pocket. This is because seeking care from a provider that is not a part of your chosen network will likely result in further expenses. When you go about selecting your plan there are two choices: a group plan or an individual plan. The one you choose depends upon whether you get insurance through an employer. Employers are now bound to provide their workforce with insurance coverage. If they meet certain requirements mandated as part of the Affordable Care Act, as an employee, you are not bound or obligated to get coverage through their the plan. That does not mean you do not have to get insurance coverage. It just means you do not have to take the employer’s coverage offered. However, it is still a requirement that you have health insurance. Cost is the major difference between a group plan and an individual plan. Group coverage is typically less expensive to the insured. That is because your employer, or other entity, is covering a large part of your premiums each month. Most corporations, unions, and government departments offer their employee group insurance plans to meet their mandated health insurance obligations. This plan is going to offer more complete coverage than you might get with an individual insurance plan. That is because it brings together multiple policies from within the corporation or other organization. It is for the purpose of lowering the costs of coverage for the insurer. Think of it like this: Your employer is getting a group rate for providing healthcare coverage to you and your co-workers. This not only reduces the cost of each plan, but in turn, it also helps to defray how much you pay, if anything, for your insurance policy each month. Group Policies usually cover the things that individual plans do not necessarily include, but they certainly do not offer them at lower rates. In other words, you have coverage for the usual routine doctor visits and medical issues you might develop, as well as maternity, vision, and dental care. The plan you ultimately end up with also affects who has the final word on the parameters of coverage in your insurance policy. Anyone with a group insurance policy is either part of a self-funded plan or a fully insured plan. 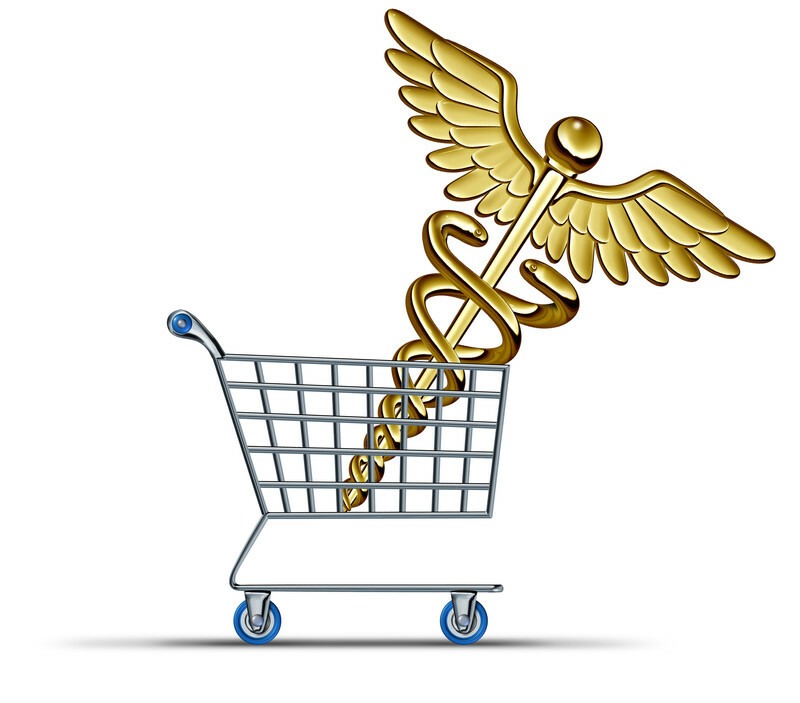 When a plan is self-funded it means that your employer takes care of all the medical expenses. Additionally, it assumes the levels of risk for the company as a whole during the year. Therefore, premiums are not necessarily paid up front to an insurance provider. That money is set aside to pay for an employee’s medical costs at the time they might arise. As an example, if a company believes that their annual risk might be $2 million, they hold on to that amount of money for use at the time an employee seeks medical care. At the end of the year, if there is anything left of that $2 million, it goes right back to the company to do with as it pleases. 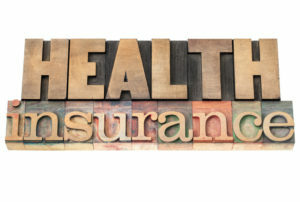 Consequently, the alternative works in much the same way as an individual insurance plan. Your employer pays a monthly premium to an insurer for that company to manage their healthcare coverage. The amount of the premium your employer pays each month depends upon the company’s annual risk estimates. The insurer takes over all responsibilities related to the handling of such claims. The employer pays the premiums each year in full. They do not have any claim to receive a return on any unused money the way it might through a self-funded plan. State laws provide specific mandates for fully-insured plans that self-funded plans are not bound to meet in compliance. Therefore, your employer could have the final say on the type of coverage and care you ultimately receive. Should there be some portion of your coverage that your boss finds too expensive to keep in the plan, he or she can take it out and that could result in your being denied costly surgery or other medical procedures that you need. If your plan doesn’t cover those costs, you will be the one assuming responsibility for those costs. That’s why you need to be very clear about what type of plan you have and the specifics of your coverage. Should you wish to fight for some form of care to be covered by your insurance, you would be fighting your employer and not the insurer and that can be even more costly and time-consuming. These are your alternatives in the event that you do not take on your employer’s insurance plan, or you do not work for a business mandated to provide care. 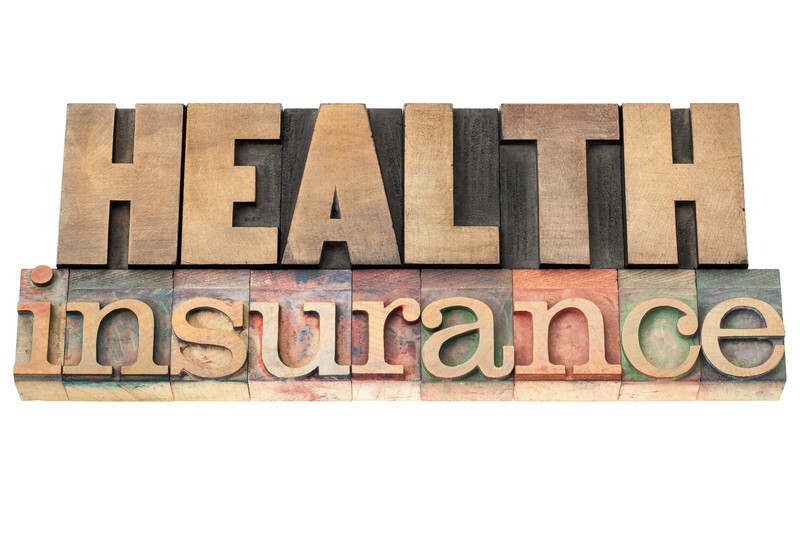 Basically, if you are the one responsible for securing your health insurance, you need an individual insurance plan. 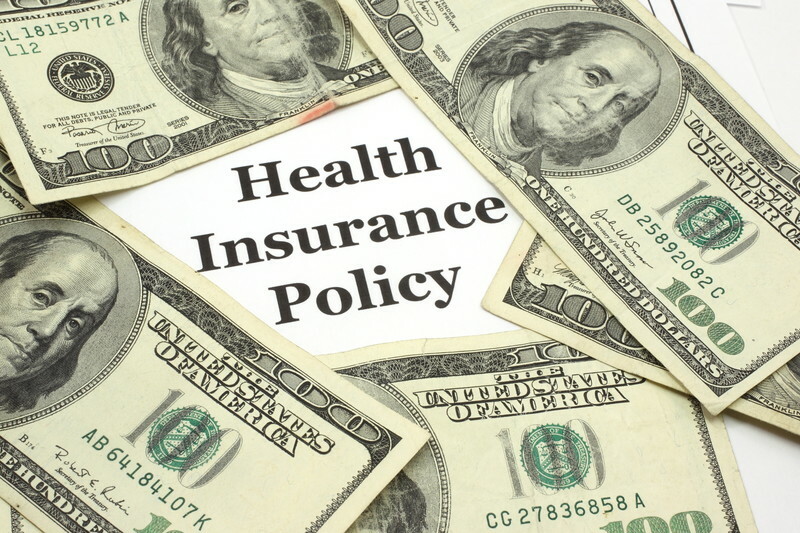 These policies are available through the health insurance marketplace. Additionally, these types of plans usually cost more than group plans. They also contain limits as to what is covered and what is not. For instance, vision and dental are not always part of a standard individual insurance plan. In order to get covered for special costs, you must purchase additional riders in order to handle the extra expense. Some plans are more pricey than others. Maybe you cannot afford any of the various individual insurance plans that offer minimum essential coverage in the healthcare marketplace. If this applies to your situation, it is necessary to seek out public insurance options which are available in just about every state in the country. There are eligibility requirements that are met in order to obtain an insurance policy under public insurance such as age, income, and household size, etc. Eligibility rules also vary from state to state. When you start to comparison shop between insurance plans, there are many different types of expenditures associated with the various options that are available in the marketplace. Some of these terms are already familiar to you. Others are not commonplace. Here is a quick primer on the insurance expenses you need to weigh out as you explore your healthcare options in the exchanges. These are the monthly payments necessary to keep your insurance policy valid and current. If you have an individual insurance plan, these costs are solely your responsibility. Therefore, it is necessary that you choose a plan that balances the right amount of coverage against the amount of your monthly premium. This is not a concern for those who are on group plans offered by an employer, because this cost is paid in whole or in part by the issuing organization supplying the insurance coverage. Every insurance company has three types of cost-sharing methods as components of their policy. The insured kicks in some amount of money based on what their insurance plan dictates for certain services and policy structures. These components are known as deductibles, co-pays, and coinsurance percentages. All of them are very important factors to consider when you are selecting plan that is right for your particular needs. This is the amount of money that you must pay out-of-pocket for healthcare insurance costs before your coverage kicks in. It covers the expenses that are outlined in your policy. Deductible levels can vary based on the type of policy that you choose. Additionally, there is typically a limit of time that you need to pay your deductible. For example, if you have a deductible of $500, that is how much you pay toward applicable medical costs before your insurance policy coverage. This is the fee that pays for certain types of care. They are typically paid for normal doctor visits, trips to the emergency room, medications, and other forms of care. The amount is often an upfront fee that ranges from $10 to $30 depending on what type of care you have received. These can also fluctuate based on the insurance plan you select. This term refers to the percentage you need to pay. This is in conjunction with the percentage your insurance company will cover for total costs of all health care services that you receive. These can also shift based on the insurance plan you choose. However, many insurance plans usually require you pay anywhere from 10 to 30% of your expenses. After that, the insurance company covers the rest. Some insurance plans incorporate these accounts into their coverage. These funds are deducted from your paycheck. They apply toward paying off all of these cost-sharing components. This is along with any other medical expenses that are not covered by your insurance policy. However, there are some restrictions, since contributions made into these accounts cannot exceed $1,200 per year. That is not a lot of money for most people, but it does help when you really need it. The money is deducted from your paycheck each month before taxes. If you cannot, or do not want to get insurance through your employer, you have to turn to the government insurance exchange. This is also called the marketplace. However, before you start comparing insurance plans and rates, you have to locate the marketplace in your state. You will then have to turn to the federal exchange if you can access it in your region. 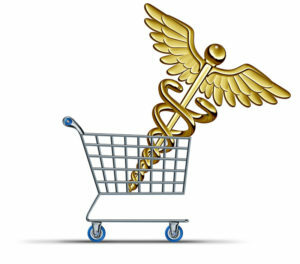 To find your marketplace, all you need to do is visit the Healthcare.gov website and type in your zip code. From there you’ll be connected to your state’s exchange, if there is one available where you live. If not, you will be directed to the federal marketplace. As mentioned before, the types of insurance plans that are available are commonly known by their abbreviated acronyms such as HMO, PPO, EPO, and POS. They are all similar in their main purpose of covering your health expenses. They differ with respect to out-of-pocket costs and limitations or restrictions on the providers and facilities you can visit for care. Since these are just letters, let us take a closer look at what they stand for, and why one might be better suited for you over another. HMO – Health Maintenance Organization: An HMO works to help keep your out-of-pocket costs low. It allows you to work with a primary physician who organizes all of your health care providers by referring you to specialists when necessary. In addition, they coordinate all the lab work and other tests that you might need. You can only visit providers that are part of your HMO’s network. With the exception of emergencies, there is an extra charge for going out of network. PPO – Preferred Provider Organization: A PPO affords you more freedom than an HMO. Due to this, you have a wider array of options for care providers and facilities. With the PPO you do not need a primary physician to correlate all of your health care services. You are not required to stay within the network to see a doctor or a specialist. In turn, the costs are often cheaper. EPO – Exclusive Provider Organization: An EPO does not require any referrals either. Your out-of-pocket costs are often much lower than with other types of insurance plans that seek care within your network unless you have an emergency. In that regard, it works in a much similar fashion than as an HMO. POS – Point of Service Plan: A POS gives you more choices for providers since you are not required to stay within the network. However, this type of insurance plan does have a primary physician who integrates and organizes all of your health care services. There is one caveat: If you wish to see a provider outside of the network, you first will need to get a referral. When you do your comparison shopping, the first thing to look for is a summary of the benefits that are part of each insurance plan. Every exchange will list the pertinent information available with each insurance plan. This includes those benefits, in addition to the costs and the list of member doctors and facilities within the network. Any insurance plan you consider takes into account the medical needs of you and your family. It helps you price out the actual costs needed for coverage over the course of a year. Yet another way to determine those costs is by factoring in your preference of selecting your own providers or having a network limit your options. HMO and POS plans do your work in that you have a primary care physician working to organize all of your doctor and specialist visits. They also maintain your medical records and refer you to specialists when it is necessary. If you would rather do all of those things yourself, you will want to go with a PPO or an EPO. Both of these insurance plans are beneficial if you already have a doctor or a care facility that you prefer and do not want to change just to save money. Speaking of saving money, EPOs offer some of the lowest out-of-pocket options among all of these insurance plans. This is a crucial component of the process because you have to consider the costs of care when you are seeing a doctor inside and outside of your network. What does it mean when your doctor is “in-network” or out? It means that those providers have negotiated a contracted rate when they commit to a certain network plan. That results in you and your insurance company paying less for medical services. Any provider outside of the network has not agreed on a rate and that will increase your costs. If you like your doctor then select the network in which they are a member. If you do not have a preferred provider then go with a network that has a wide array of choices, particularly one that has plenty of options, located near where you live. You do not need to drive an hour to the doctor and back just to see someone within your network. Exploring the various plans must take into account how much you need to pay before and after your policy kicks in. Most exchanges will outline all of these costs in their summaries. In addition, they include all cost-sharing components we discussed previously. Nonetheless, one rule of thumb that usually determines what you pay for care is that the higher your monthly premium, the lower your out-of-pocket expenses. If you are still trying to figure out the plan that works best, and factors like network and costs make one plan more desirable than another, you need to read up on the benefits that come with each of the options you are considering. The coverage is why you are getting this plan in the first place, so decide what kind of coverage you really need. Do you plan on getting pregnant or do you take certain medicines? These health concerns should go into your decision as some plans have better coverage for the things you need most. Hopefully, this guide gives you all the information necessary to start down the road to becoming insured. Anyone who is not carrying acceptable health insurance will pay a fine, also known as an “individual shared responsibility payment”. However, you will not have to deal with this inconvenience now that you have a better understanding of how to get insured, and the various options that are available for proper coverage.